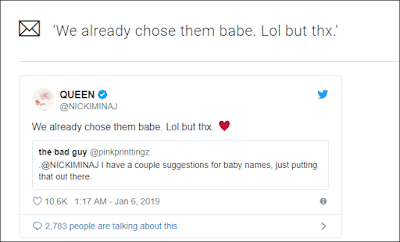 Fans of popular American female rapper, Nicki Minaj are asking asking if she is pregnant after she claimed she has chosen names for her baby. The rapper has been enjoying a new romance with Kenneth Petty after revealing her new boyfriend to the world at the end of 2018. 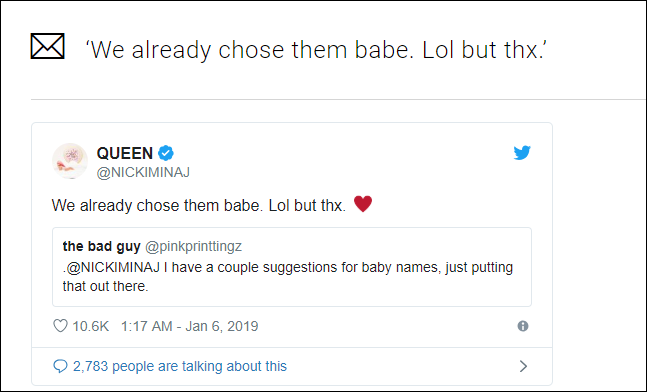 After ringing in the New Year, the Starships singer has set tongues wagging with baby rumours.